Black Stars captain, Asamoah Gyan., has been rated as the most influential sportsman in Ghana for the year 2015. 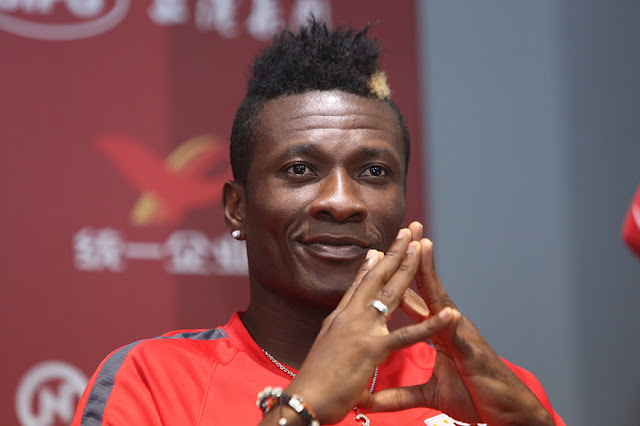 Gyan who had an eventful year in 2015, beat the likes of Andre Ayew, Stephen Appiah, Azumah Nelson and Abedi Ayew Pele to emerge the top sportsman in the 100 Ghana’s Most Influential (GMI) personalities list released by e.TV Ghana recently. The list is made up of politicians, clergy, footballers, business people, entertainment personalities, journalists and other people who contributed immensely to the growth of our society in various ways during the year under review -as voted by the general public. The annual research conducted by e.TV Ghana, in partnership with audit firm PKF, placed Asamoah Gyan as the 44th Most Influential Personality in Ghana. The Shanghai SIPG forward undertakes several humanitarian roles in the country. He performs various Corporate Social Responsibility (CSR) programs with his Asamoah Gyan Foundation and promotes the Boxing with his Baby Jet Promotions among others. He has in the past supported the women’s national team as well.